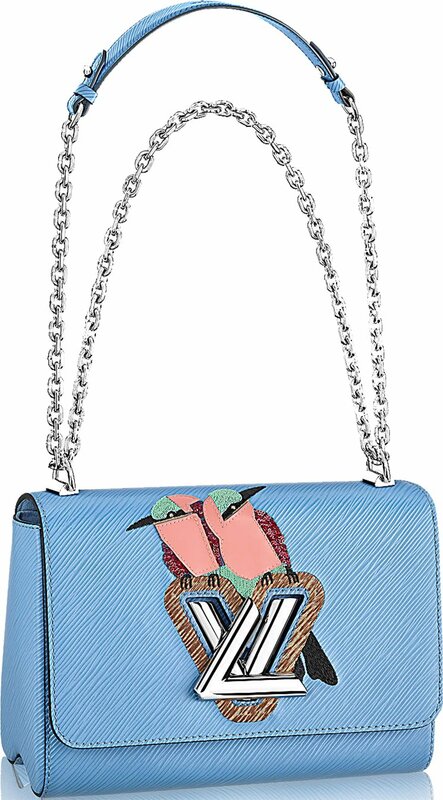 They said the early bird catches the early worm, looks like Louis Vuitton is catching everyone’s attention with its Early Bird and Night Bird Twist Bags. These two bags are truly eye candies. The early bird print features bright colors and hues which comes in yellow (Jonquille) and blue (Bleuet). The night bird print on the other hand features darker colors in black (Black) and dark blue (Iris). The Early Bird Twist Bag is everything you could ask for in a cute and brightly colored MM bag. It features the exotic and colorful embroidered Epi leather that showcases the jungle theme of Summer 2016 while still keeping a close connection with the House spirit of travel. Aside from this, the Early Bird Twist Bag also comes in two other materials aside from the epi leather: Crocodile Brilliant and Python. 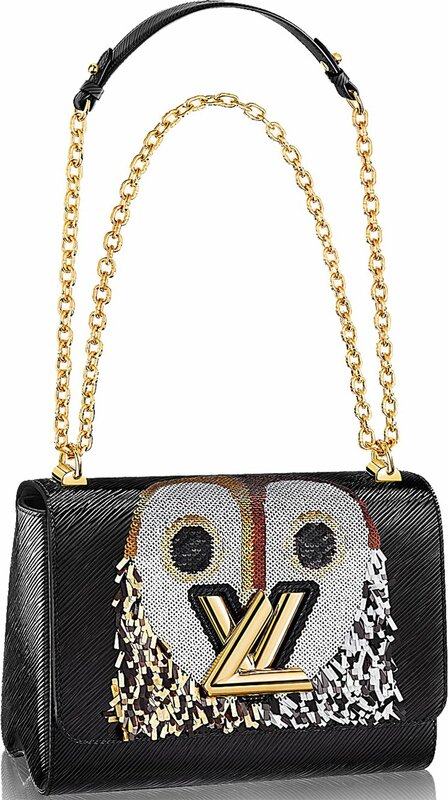 The Night Bird Twist Bag on the other hand is a glamorous piece one shouldn’t dare miss. It is unique and sophisticated, what more can you ask from Louis Vuitton’s craftsmanship? 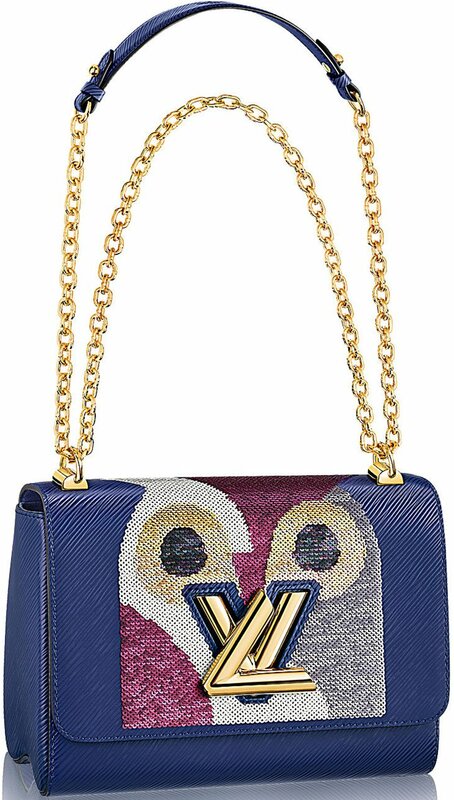 It features an eye-catching central motif, that is 5,900 embroidered sequins to be exact and the signature LV twist lock. This bag comes in two materials that you can choose from: Epi leather and Crocodile Brilliant. 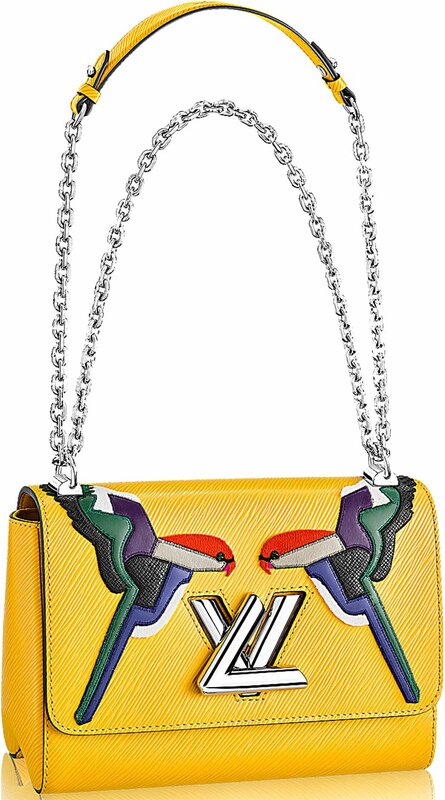 Presented during the Fall Winter 2014 Collection, and new colors have been revealed for the Spring Summer 2015 Collection, the new Louis Vuitton Bag. It’s aggressive and deceptive, here’s why.